On this date in 2015, in the Islamic holy city of Medina, Saudi Arabia beheaded Indonesian domestic worker Siti Zainab after a very long wait. Zainab, a maid, was condemned to death in 1999 for stabbing to death her cruel* employer. 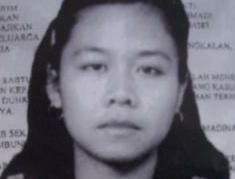 Her execution went on pause for more than 15 years until all of the victim’s children could reach adulthood and exercise their right to enforce or mitigate the death sentence; still, for all that lead time, Saudi Arabia irked Jakarta by failing to notify consular offices of her impending beheading. * Cruel according to Zainab and her defenders. Indonesian NGO Migrant Care argued that the murder was outright self-defense.